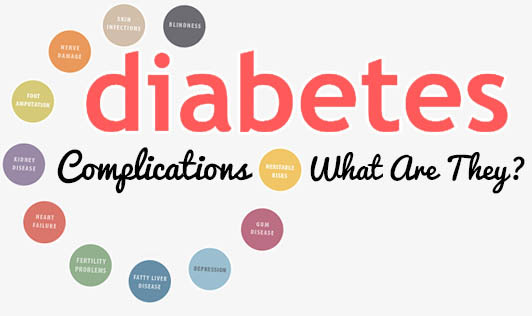 Diabetes Complications - What Are They? Have you got your blood sugar checked lately? Those of you with high blood sugar levels are also at a higher risk for other health problems which arise out of uncontrolled blood sugar. Don't neglect your blood sugar. Keep it in the normal range. If you have a family history of diabetes, check your blood sugar regularly. If you are a diabetic, stay in touch with your endocrinologist and dietitian. Many of the complications associated with diabetes can be prevented or delayed by following a healthy lifestyle.